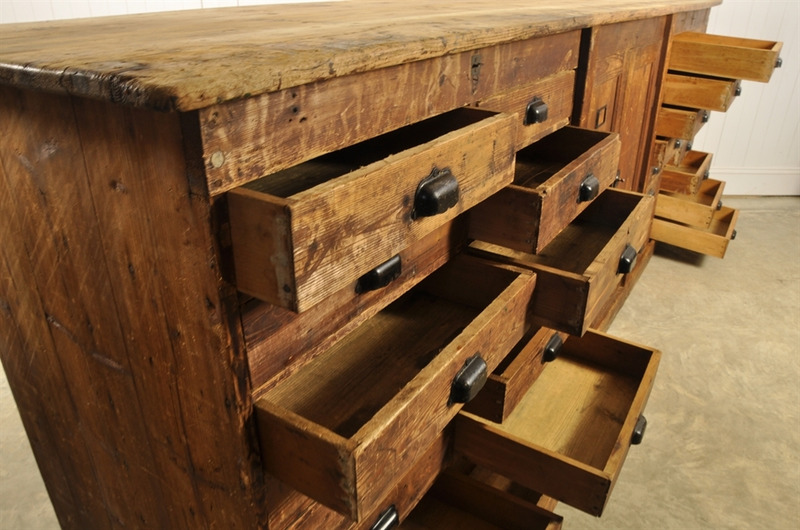 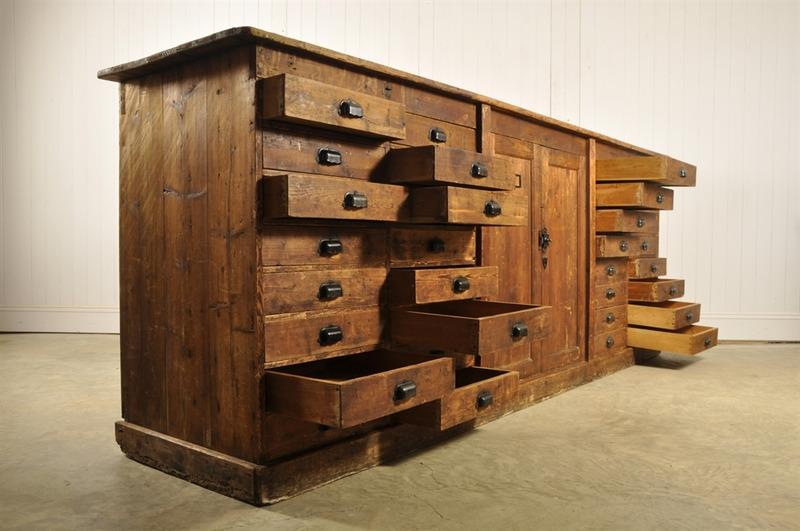 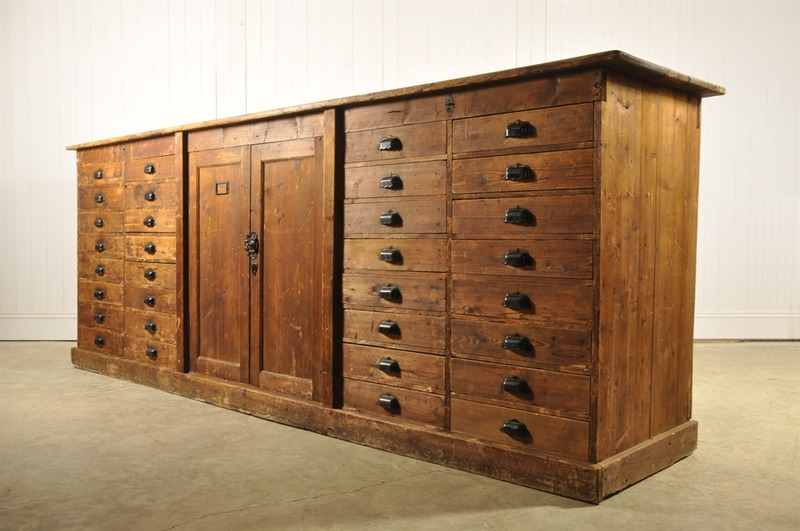 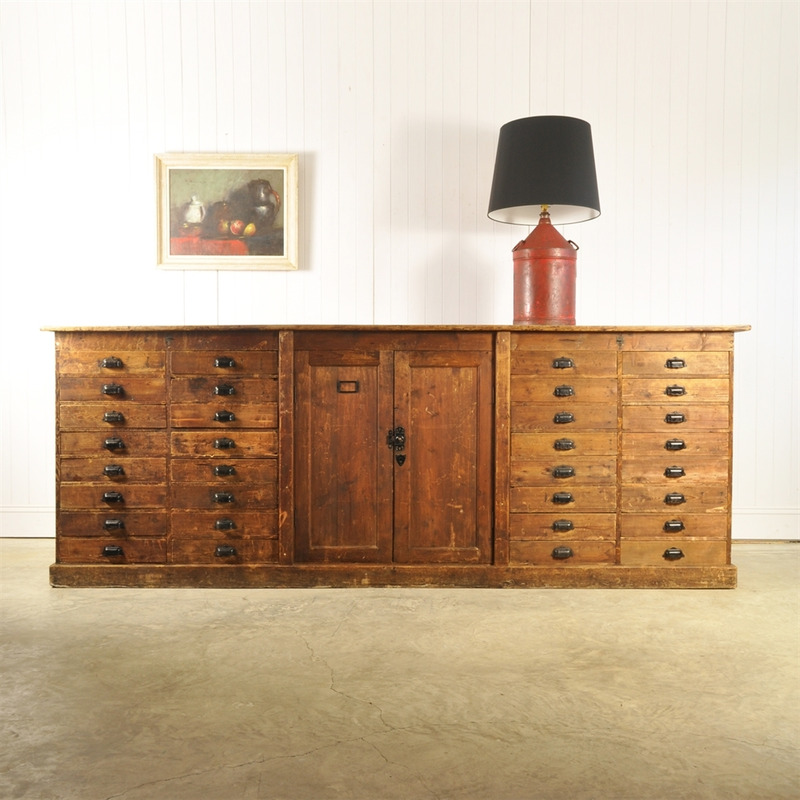 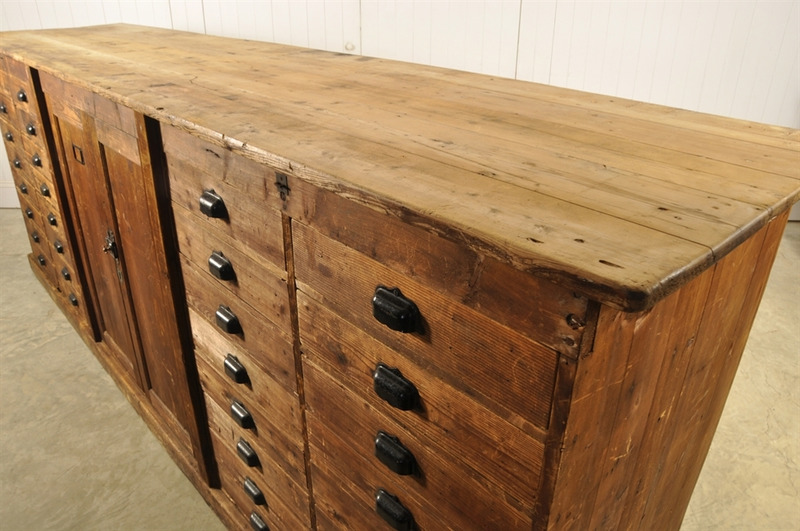 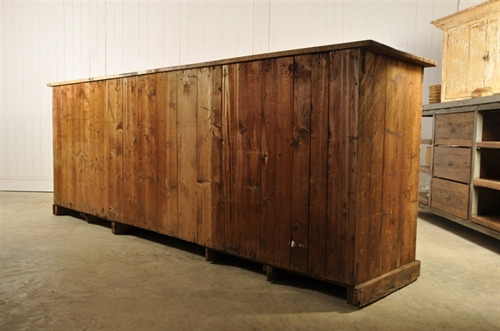 Huge Button Factory Sideboard - Original House – Decorative Antiques, Vintage Industrial Furniture and Lighting, Cotswolds. We are very pleased with this find. 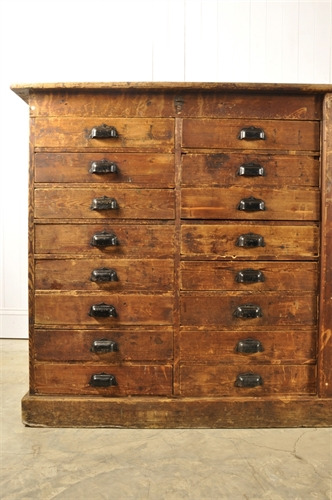 Sourced from a factory in Normandy where they were making metal buttons and fasteners for the fashion industry. 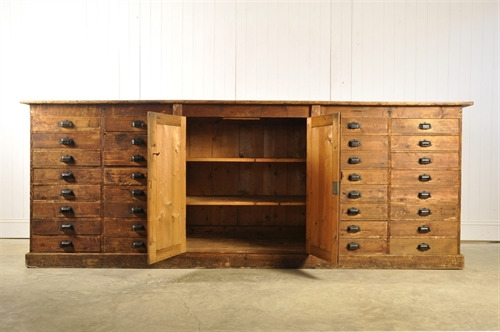 Circa 1930's - in untouched original condition. Brought straight out of the factory and into our showroom in great structural condition with smooth opening drawers and fittings. 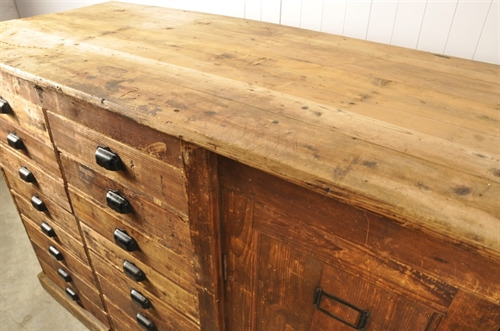 A few bumps, scrapes and paint splashes as per its age and use. Pieces like this are getting increasingly difficult to find. 110 cm h x 296 l x 67 d.